Your smile is a crucial aspect of your appearance and self-image, and it plays an important role in how others perceive you as well. Flawed teeth diminish your attractiveness and lessen your confidence. At Monet Aesthetic Dentistry, we can create your dream smile and change your life in the process. Dr. Metzger has advanced training in cosmetic dentistry. She provides functionally aesthetic dental solutions that renew structural integrity and enhance natural beauty at the same time. 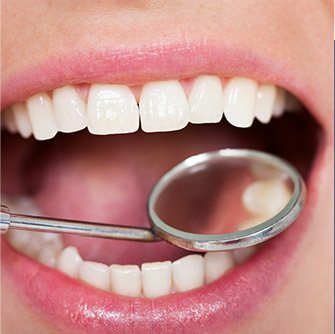 Your tooth-colored filling, white crown, or custom-made porcelain veneers will blend seamlessly with your existing smile and deliver lasting comfort and function. To replace missing teeth, we offer fixed bridges and dental implant restorations that beautifully complete smiles and positively influence oral and overall health. Dr. Metzger approaches dentistry from our patients' perspective and delivers premium solutions for amazing smiles. Let’s take a closer look at some of the cosmetic services offered by your dentist in Farmington. Sometimes there just seems to be so many flaws in a single smile. Chips, cracks, breaks, or permanent stains can make the idea of ever having a beautiful smile seem almost impossible. Porcelain veneers are made for just such a smile. Crafted from strong dental porcelain or composite resin, these are thin sheaths that are securely cemented to the facial side of the teeth. You’ll never have to think about those flaws again when you have porcelain veneers giving you an entirely new and attractive smile. Patients no longer have to settle for silver or gold crowns when it comes to repairing the teeth that show prominently in the smile. At Monet Aesthetic Dentistry, we now only use 100% dental porcelain to restore the most prominent teeth. This material is strong, durable, and well-known for its ability to resemble real enamel in every way, even replicating its translucent appearance. Now, Dr. Metzger can create a restoration so lifelike that only she and the patient will know that they’ve had dental work. Direct bonding is one of the fastest and most affordable cosmetic treatments we offer. With it, we can get rid of minor stains, chips, and gaps in just an hour or less. Dr. Metzger simply applies a tooth-colored resin to any damaged/missing enamel and uses it to literally sculpt a tooth to perfection. After a quick polish, it will look like just another part of the natural tooth. The procedure is quick, painless, and the results can be trusted to last for a decade or more. If you’ve always wanted to straighten your teeth, you no longer have to get noticeable metal braces to do it. 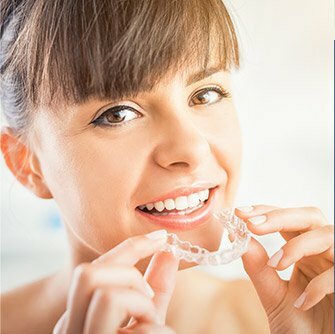 Invisalign is able to achieve the same results using a series of clear plastic aligner trays that are practically invisible when placed on the teeth. With them, patients can get the treatment they need without sacrificing their daily appearance. Even better, they can easily take the trays out whenever it’s time to eat or brush their teeth! 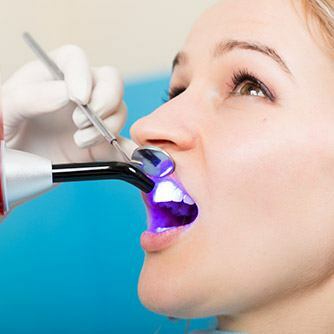 Teeth whitening can lift stains and discoloration caused by foods, beverages, medications, tobacco, and the aging process. Dr. Metzger offers take-home trays for gradual bleaching. Specially formulated bleaching gel penetrates the uppermost layers of the teeth to erase stains and reveal a brilliantly white smile. The natural tooth structure remains unchanged. Take-home bleaching can be used in the privacy of your own home and on your own schedule. We recommend that you wear your custom take-home trays daily for ten days up to two weeks for optimal results.